Glass Ball Cabinet Knob - Plain Black 25mm suitable for Kitchen door knobs and Cabinet door knobs. The Glass Ball Cabinet Knob. Part of the Fulton and Bray range. 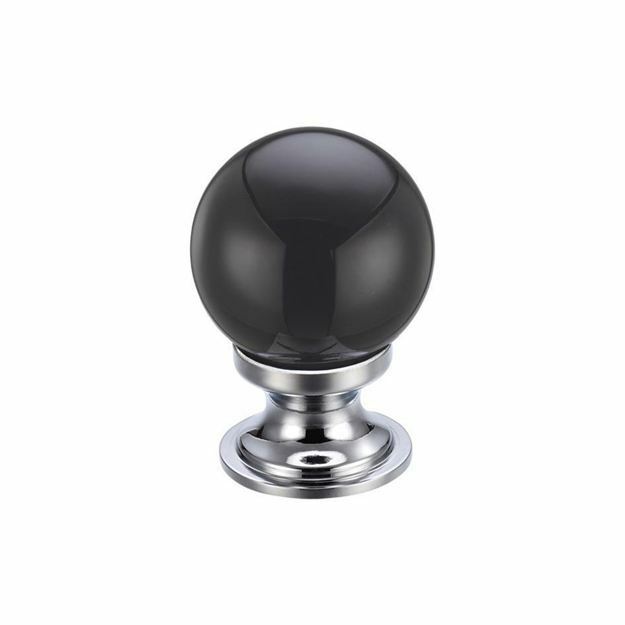 A high grade optical glass on heavy chrome plated brass base, the glass ball cabinet knob is excellent. Supplied with a 10 year warranty. Suitable for use on cupboards/cabinets.